The Chicago-based animal lover spent years volunteering at shelters, and found a new way to make her mark when she created The Rescue Runway in February 2017. 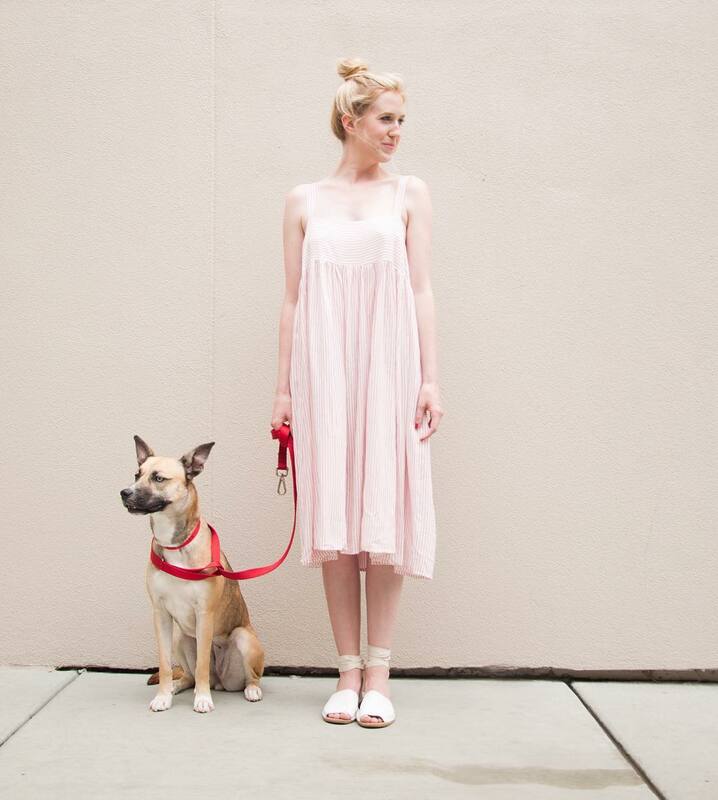 The popular blog marries her love of animals and fashion by chronicling trips to local shelters and including information on both her outfits and the pictured pups in need of homes. Whenever possible, she tries to wear clothing brands that support and donate proceeds to animal organizations. We caught up with Christine to talk dogs, blogs, and the biggest lesson animals have taught her. How was the idea for The Rescue Runway born? I’ve always been an active volunteer at animal shelters in and around Chicago and wanted to find a way to promote adoption to a new audience. I follow many fashion bloggers and love when they share pictures of their pups, and one day I had a light bulb moment. I realized my passion for clothes could be combined with my love of equally adorable dogs (and cats!) in a new kind of fashion blog. A blog that not only shows off fun outfits, but also has a purpose behind it that people can connect with. You do a lot of work to raise awareness about homeless pets in Chicago. What has the response from your community been like? To say it’s been amazing would be an understatement. Since day one, people have reached out from across the city and country telling me how wonderful of a platform this is for the rescue world. I’ve been lucky to meet some pretty incredible people in Chicago who are just as passionate about adoption as I am, and everyone has been so supportive and offered advice along the way. One of my new blogger friends just adopted her first pup and let me know that my blog helped her make the decision! You’ve written about your exploration of the pet food industry and your experience trying a fresh diet for your dogs Hattrick and Stanley. What’s your approach to feeding them these days? Writing that post was quite the eye-opener and it’s completely changed my approach to feeding my pets. Hattrick and Stanley are both working on their summer bodies and were in need of a leaner diet. Luckily, The Farmer’s Dog provided well-balanced meals to kick-start their weight loss goals. I’m happy to report that Stanley has lost five pounds and Hattrick is down three! I’m hoping to switch them to a total human-grade diet by the end of the year, and for now they’re eating a combination of The Farmer’s Dog and a zero-grain dog food to shave off a few more pounds! What is it about animals that makes them so special to you? I will always be in awe of the unconditional and innocent love that animals possess. Some of my favorite dogs have been the ones who were treated so badly before being saved and are still the sweetest pups and have so much love to give. We can all learn a lesson from them. What do you hope people learn from visiting The Rescue Runway? My blog is full of educational posts about things that are all important to me, but I hope the number one takeaway is just how amazing adopting a pet can be. People don’t often realize that you can rescue almost any kind of dog. Big, little, purebred or mutt, the perfect pup is out there waiting for you. It may take a little research, but I promise it’s worth it. I hear from followers all the time that in the end, it’s really the dog that rescues the person.